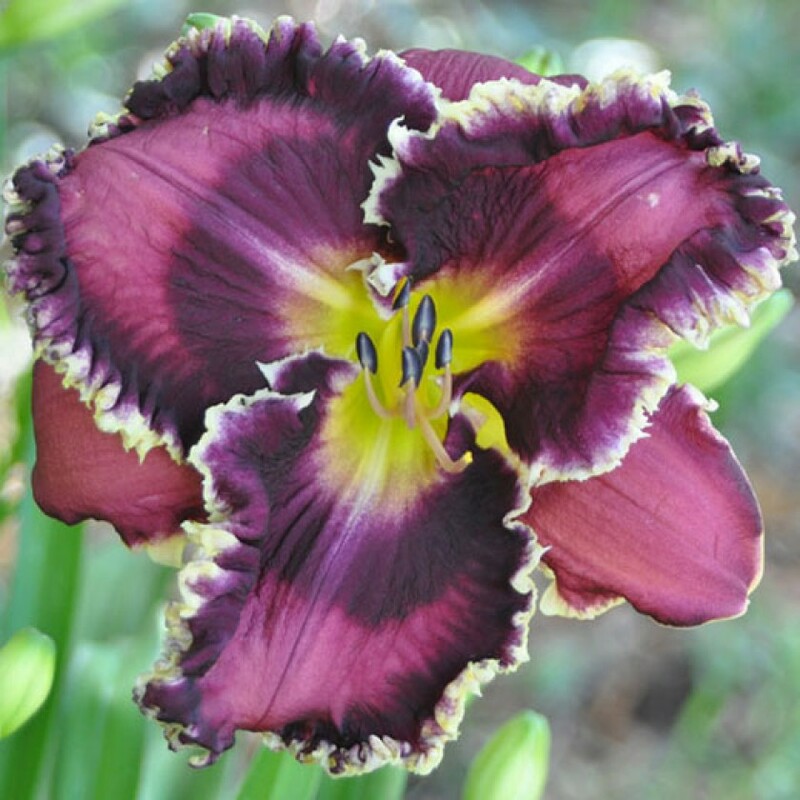 TET (Nicole's Plum Crazy X Black Tie Affair) Ev. 28" scapes, 6 1/2" flowers, 4 way branching with 29 buds.Jagged white edges set off this vibrantly dark flower making it truly glow. A violet rose background makes way to plum blue eyes and edges. BRIGHT IN THE NIGHT is a great performer both in the garden and as a parent, throwing color saturated flowers with large white toothy edges. Fertile both ways.